Hamilton was left less than impressed by Vettel’s radio message to his team on his wind down lap at Silverstone a fortnight ago. And now Hamilton is determined to ensure Vettel does not taste victory in what could prove to be his final home race, with the German GP in danger of being ditched. 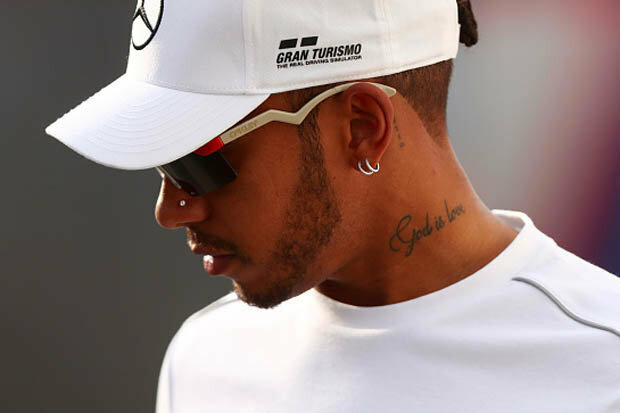 “I see that as a weakness rather than a need to even say anything,” said Hamilton of Vettel’s boasting. “For me it’s something that we can work with, it doesn’t affect me whatsoever. So, good for him. “We will keep our heads down, keep ourselves quiet and focus on trying to do a better job across the board. That’s our approach right now. “Our job is to focus on doing the best we can. I think we have done a really good job considering certain things that we’ve faced and what they have brought to different races. “I have never been so confident with my team, after these past races I have never been so empowered and confident by the things that I have learned that we’re facing. After battling back to take second at Silverstone Hamilton trails Vettel by eight points in the drivers’ championship. But he can celebrate signing a new two-year deal £80m deal with Mercedes by turning the tables on his Ferrari rival at Hockenheim tomorrow. The four-time champion will continue to be partnered at Mercedes by Valtteri Bottas next year after the Finn signed on for another season a Mercedes. Team boss Toto Wolff said: “Valtteri’s performances have been excellent this season and, if not for our mistakes and his misfortune, he could be leading the drivers’ championship. Bottas said: “This year, with a full winter of preparation, I have been able to make a good step forward – and I believe that there is still more to come. 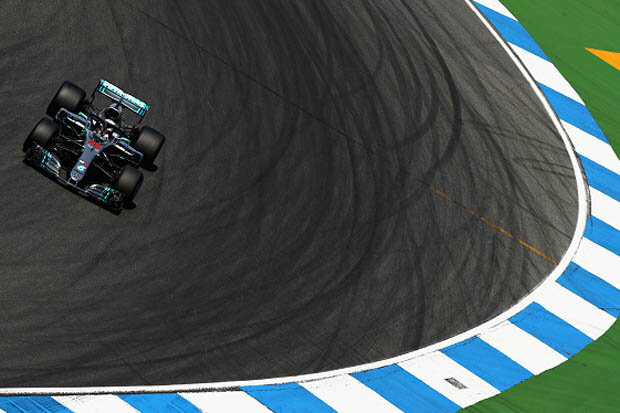 Hamilton and Vettel don’t look like having things their own way at Hockenheim this weekend, with Red Bull setting the pace in practice. Daniel Ricciardo was fastest in the morning session but engine penalties mean he will start the race from the back of the grid. But Max Verstappen was in the mood in second practice, pipping Hamilton to top spot with Bottas third and Vettel fourth.